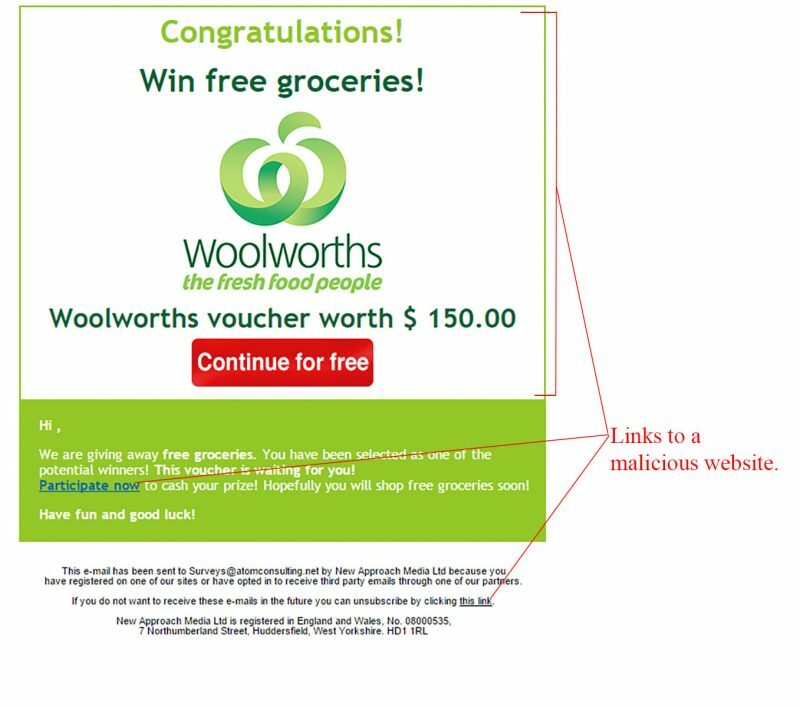 Yet another gift voucher scam attempt has attempted to reach inboxes in the form of a Woolworths groceries voucher email. 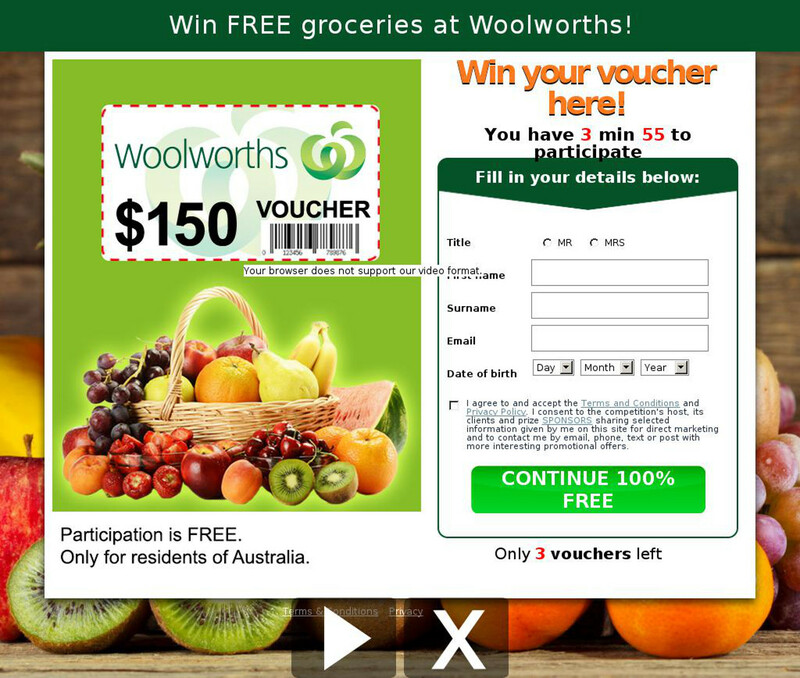 It claims to provide you with a $150 voucher to spend at the Australian supermarket. Woolworths (locally known as Woolies) is a grocery / supermarket chain in Australia. Keep reading to find out more about this malicious scam attempt to infect your computer with malware. Figure B shows the malicious web page you will land on if any of the links in the email are clicked. This page is outdated and poorly branded. It shows the voucher and even has a timer and a fake amount of vouchers left to win, to push you to click through quicker. The page has a form asking you to fill in your details – doing so will lead to a malware infection. Do not click anywhere on this website and close it immediately. The play and ‘x’ buttons towards the bottom are another attempt to get you to click, it is tricking you into thinking there is a video to be played. We strongly suggest deleting any emails that reach your inbox claiming to give away free gift vouchers, especially if they contain any of the spam identifier points above. If you have fallen for this scam run your anti-virus software immediately. Every computer that uses the internet should have anti-virus software installed for security reasons and to protect your personal data.